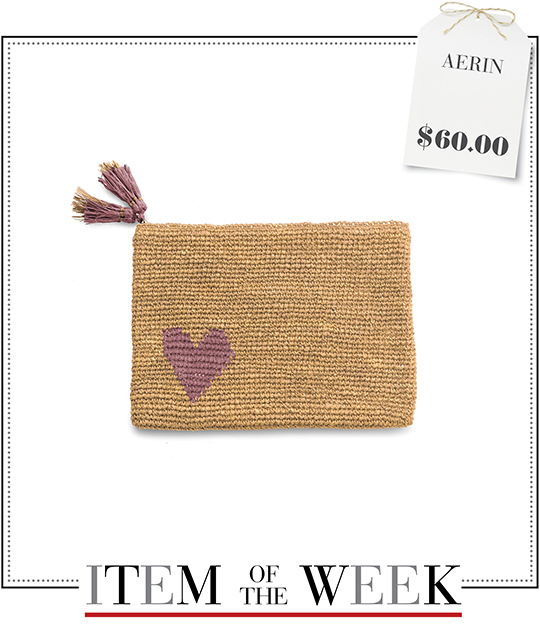 A raffia clutch with heart detailing from AERIN. See how you can coordinate your wardrobe in 5 different ways with 1 item, under $100. Monday Date Night: For an eye-catching summer date night look, a charming silhouette and bold, beautiful accessories will do the trick. 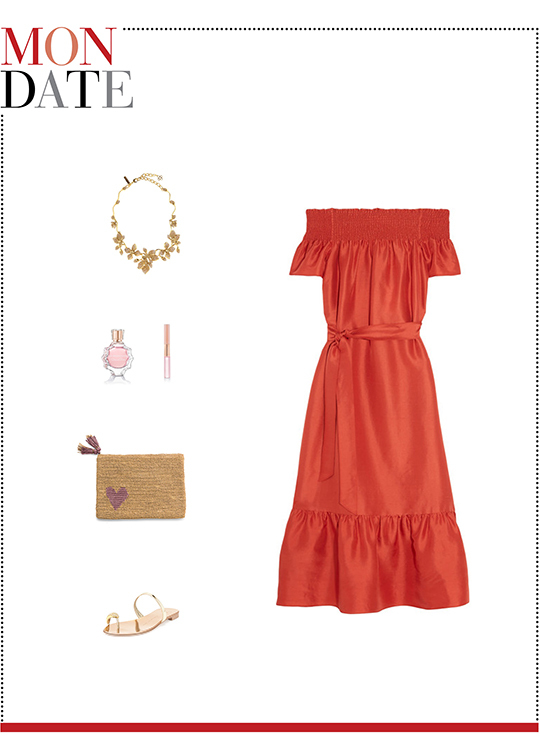 A red off-the-shoulder dress, a crystal flower necklace, gold sandals, and AERIN's raffia clutch will help you coordinate a romantic evening outfit. For beauty, apply floral perfume and rosy lip gloss. Tuesday Hot: Taking in the summer sun will only last for a few more weeks, so enjoy it while you can. 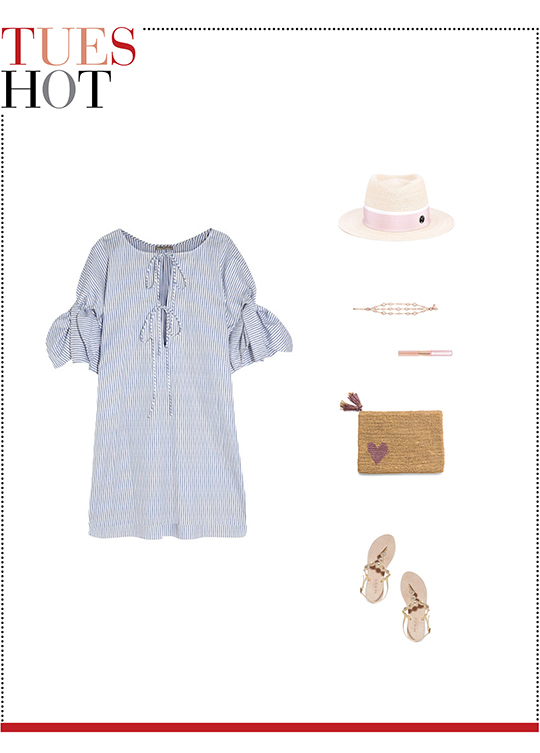 Use these hot season must-haves and get your sunny wardrobe in check: a striped cotton dress, a pale pink straw hat, a pair of crystal-embellished sandals, a multi-strand pearl bracelet, Monday's rosy lip gloss, and this week's zip clutch. 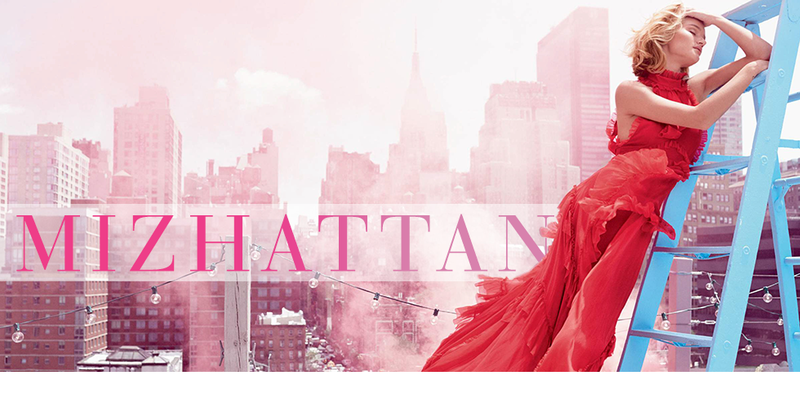 Wednesday Dinner Plan: Master the art of evening style with this playful and flirty dinner ensemble. 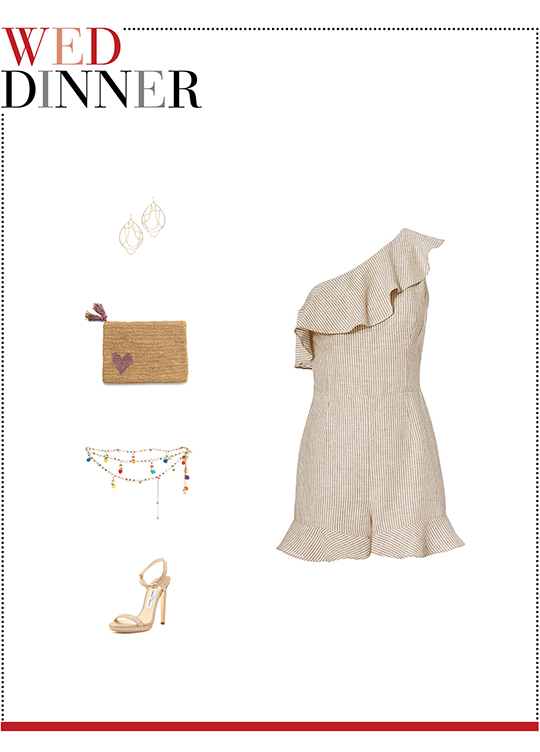 Try teaming AERIN's raffia heart clutch with a beige one-shoulder romper and a pair of shimmery leather sandals. You can then add an embellished multi-strand belt to perk up your look. Make sure to complete this outfit with oval web earrings. Thursday Rainy: A drizzle in the forecast? Here's how a cool girl styles out a rainy look. First, put on a cashmere-blend sweater and a pair of mid-rise boyfriend jeans. Next, slip into white tennis sneakers and grab this week's large raffia clutch and a silver pendant necklace. Lastly, apply tinted moisturizer and don't forget the polka-dot umbrella. 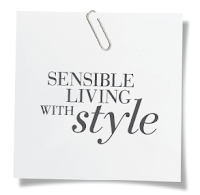 Friday Casual: This is your shortcut to casual chic. A pastel striped sweater, a pair of white denim shorts, metallic espadrilles, and this week's AERIN clutch can transform your off-duty style from drab to fab. Finish off tastefully with double ball stud earrings, metallic nail polish, and Thursday's tinted moisturizer.